19BOX RECORDINGS would like to welcome the talented Dartek to our label. He has already featured on the label as a remixer for Julio Largente on a previous release. His last efforts were he more along the lines of an experimental downtempo remix. This time he has supplied us with his more common hypnotically-driven progressive sound. Not to leave you feeling left out, we have included a fantastic by the Russian producer, Samotarev (Alexey Samotarev). His remix goes back to the 1990s and adds a retro trance vibe to the original; which is why he entitled his fantastic remix the ‘Old School Remix’. 19BOX RECORDINGS would like to welcome the talented Dartek to our label. Dartek is the solo project of Argentinean talent Mauricio Daniel Maranghello. He has already featured on the label as a remixer for Julio Largente on a previous release. His last efforts were he more along the lines of an experimental downtempo remix. This time he has supplied us with his more common hypnotically-driven progressive sound. His work has been gained the attention and praise from the likes of John Digweed, Chris Fortier, Hernan Cattaneo, Anthony Pappa, Hyper and many others. Not to leave you feeling left out, we have included a fantastic by the Russian producer, Samotarev (Alexey Samotarev). He is the owner of GREEN SNAKE RECORDS and was also known as a member of the Russian progressive house group, Python. He has made a previous appearance on 19BOX RE-CORDINGS as a remixer of Blue Satellite. His works have been and are currently supported many of the world’s best DJs. Some examples of those names include the likes of John Digweed and Hernan Cat-taneo. 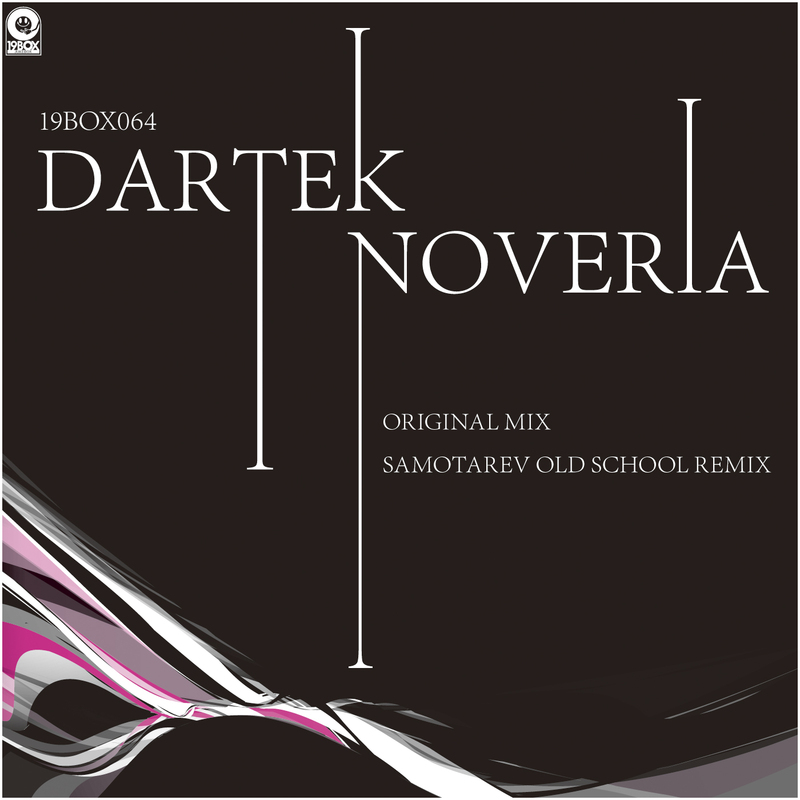 Samotarev’s remix goes back to the 1990s and adds a retro trance vibe to the original; which is why he entitled his fantastic remix the ‘Old School Remix’.